Case Pricing (25 per case) •	OSHA Approved •	FREE Shipping on all orders over $100 within the U.S! 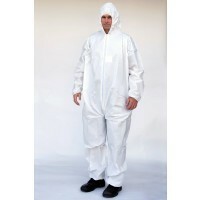 Feel comfortable and stay cool in hot environments in our Microporous Laminated Coveralls with Hood and Boots as they are generously sized, lightweight, soft and breathable. Features a convenient double front zipper opens from top down and bottom up. 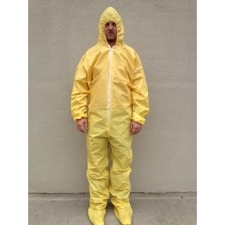 Protect yourself today from hazardous liquids, chemicals and substances with our Microporous Film Laminated Coveralls with Hood and Boots!